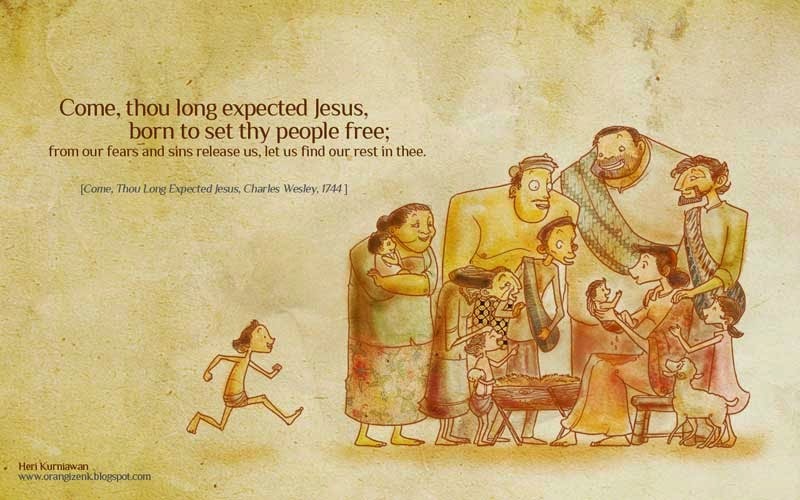 I grew up with Sunday School Bible stories. How i am captivated and moved by the simplicity and genuineness of the people inside each chapters. God really does interact with us, mortals, in a miraculous and or an ordinary way. My favorite part is always the nativity story. It's a loud sign that a season of joy and best part of the year is coming. Other personal favorite is David and Goliath scene. The battle and the victory! This is a super nice project that i did with Ms Lina Kristo from Perkantas. 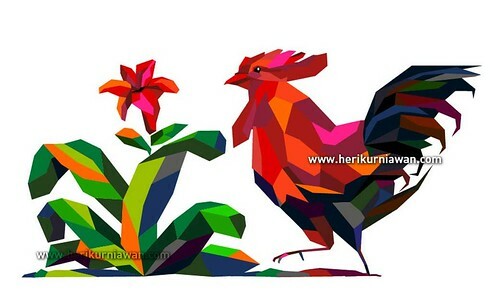 The brief was like to create illustration that later be used for 2011 Perkantas Jakarta Christmas Card. She gave me total freedom to generate ideas and create something i like. This is the a local nativity scene with a "leaking" Baby Jesus. A reminder that The Almighty Creator of the universe once being a helpless infant for the sake of His love for us. It is meant to be a sequel for the previous design. 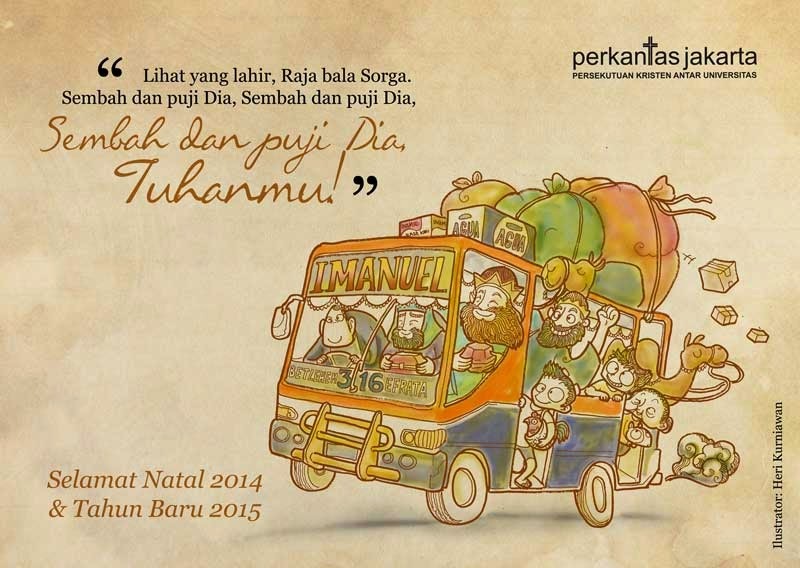 This is a 2014 Perkantas Jakarta Christmas Card. They wanted me to do the same local-taste of the nativity. The process of this illustration is done quite fast since the idea already there just after i finish the first card. 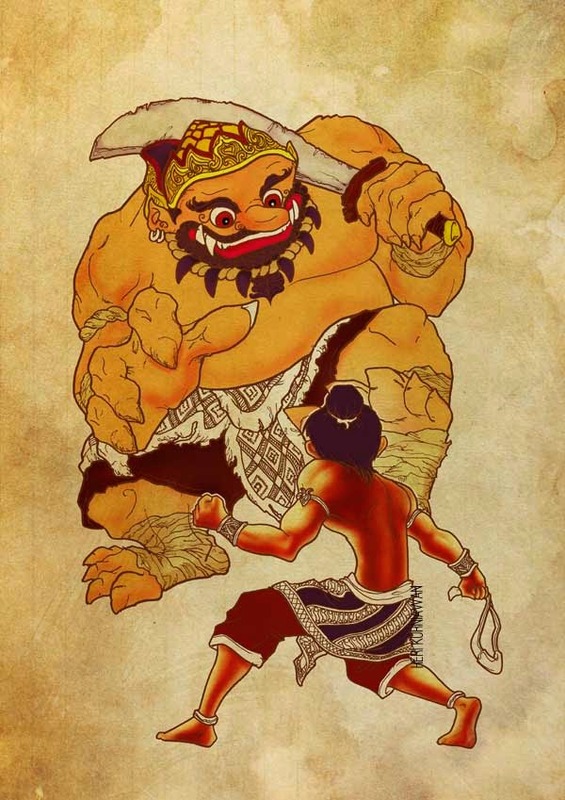 This one tells about the kings from the east who bring their best offerings to the newborn Messiah accompanied by Wawa, Panpan, Mbok Darmi & the Preman. - Pen on Paper. Digital Finishing. Somewhere around 2009, i guess. After being introduced in a class, i was like instantly in love with the world of Wayang. The stories, the intrigues, the morality, the stylized ornaments, and ... (Sure, i can spend a whole day to explain bunch of things on why i love this art, but it will bore you anyway). In other hand, using the Wayang style is always left lots of detailing to be filled. This one is kind of left as work-in-progress state for years. Perhaps, someday - when i feel diligent enough, i'll go back to finish this project.